Drug detoxification is a rather specific process. There is an opinion that it is better for a patient is his organism is detoxified more intensly. This makes sense only in case of severe poisoning. We can perceive a paradox: regular use of psychoactive substances, especially opioids (methadone, heroin, oxycontin, morphine, substitol, subutex) and benzodiazepines (xanax, lorazepam, valium, rivotril, dormicum) damages organism slowly and imperceptibly, but if an addict stops using them, he will immediately feel quite intense crisis – apstinential syndrome. Narcotics alter many physiological processes and the addict can function normally (eat, drink, sleep, think, work) only under the influence of narcotics. As soon as the concentration of narcotics in organism drops, this induces a nauseous state, i.e. an apstinential crisis. There are pains, anxiety, fear, «hot-cold» sensation, cramps in muscles, stomach, nausea… They are very hard to endure and the addict is ready to do anything to obtain narcotics, because only a new dose can «cure» him. For this reason are the non-professional attempts at «getting clean» most often non-efficient and even dangerous, since the addict are not able to protect their organism from crisis. • Ultra Rapid Opioid Detoxification – the point of this method is faster cleansing of receptors from heroin, morphine, methadone due to use of antagonists like naloxone, naltrexone, nalmefene. This often helps to shorten the crisis and spare the patient from most unpleasant symptoms, since his receptors are soundly protected by anaesthesia. Modern medications, and the means of applying total anaesthesia have made this method harmless. 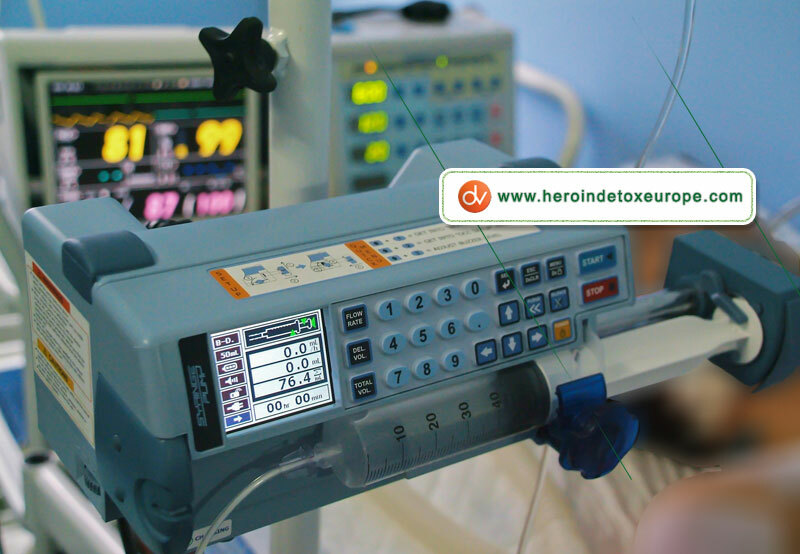 This detoxification is done by trained staff at intensive care department. 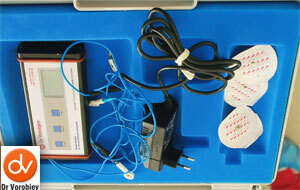 • Neuro Jet Therapy is the lightest method which normalises functions of opioid structures of the patient. The aim of this therapy is to induce constant transcranial stimulation of those parts of brain with concentrated opioid receptors by use of portable neurostimulator. Stimulating these parts of the brain helps recovery of its natural structures functions and protects organism from pain by use of natural, endogenous opioids. As a result, symptoms of apstinential crisis are greatly reduced, as well as the need for medications. • Pharmacotherapy assumes use of medicaments (analgetics, tranquilisers, hypnotics, psycho-stabilisers) in order to put apstinential syndrome under control. It is of outmost importance to pay attention not to use dangerous substances with highly addictive potential, i.e. substances that can cause addiction. Pharmacotherapy comprises infusions with vitamines, amino acids, minerals, neuro and hepatoprotectors. • Plasmapheresis is one of the most efficient methods of cleansing the organism from toxins. The point of the method is to let the blood of the patient pass through a special membrane which represents a filter for poisonous toxines, narcotics and damaged cells by use of an equipment. Plasmapheresis not only reduces the symptoms of apstinential crisis, but enhances metabolism and immunity. It is also used in other fields of medicine as a powerful means against alergies and autoimmune reactions. Sportsmen use this method for recovery after intensive use of steroids. • Xenon gas treatment – xenon is rare medical gas that can regulate central nervous system. Gas inhalation can calm focal points in brain which provoke anxiety, nervousness, pain, narcotics craving in the patient. When he receives the xenon, the patient is calm for several hours, he feels good, reads books, participates in psychotherapy, he is completely in control of his behaviour. The gas does not affect the organs, but metabolises and leaves no consequences. Its advantage is that patients with damaged liver, in bad health condition or suffering from serious accompanying diseases can use it. Combining various methods enables safe, pain-free and quick detoxification. Patients report that they have experienced no crisis. If you have any question about drug detoxification treatment , contact us for free consultation.